Are you looking for education, training or high demand jobs in the state of Iowa? If you are, a great place to start your search is the Future Ready Iowa website. The website was launched on Monday, Jan. 23, 2017, and offers a variety of resources such as skill building; scholarship and college opportunities; and career information and openings. Future Ready Iowa was created after Iowa received a National Governors Association grant in 2014. 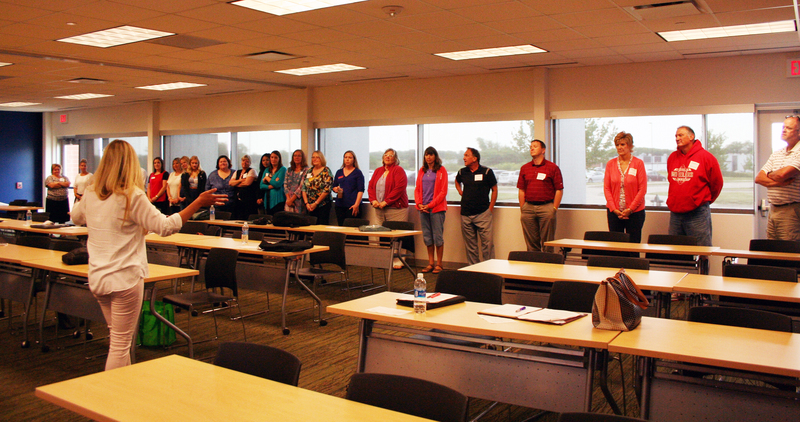 This initiative is aimed at helping to build Iowa’s talent in the coming years. According to the website, the goal of Future Ready Iowa is for 70 percent of Iowa’s workforce to have education or training beyond high school by the year 2025. One student will be named this year’s Money Smart Kid and will receive a $1,000 College Savings account. Participants must reside in the Money Smart Week Iowa or Quad Cities region and must be in grade 7-11. The deadline to submit an essay is Friday, March 24, 2017, and the winner will be notified by April 19. 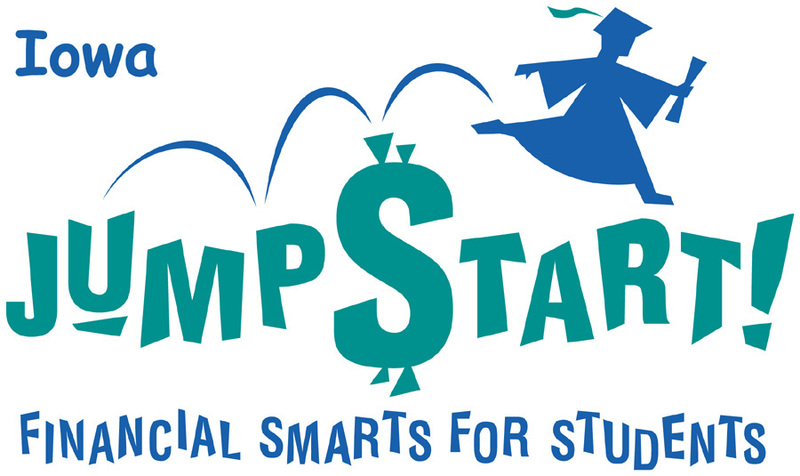 Download the MSW Essay application at http://www.moneysmartweek.org/kids_competition. To stay up-to-date on contest information, “like” MSW Iowa on Facebook. 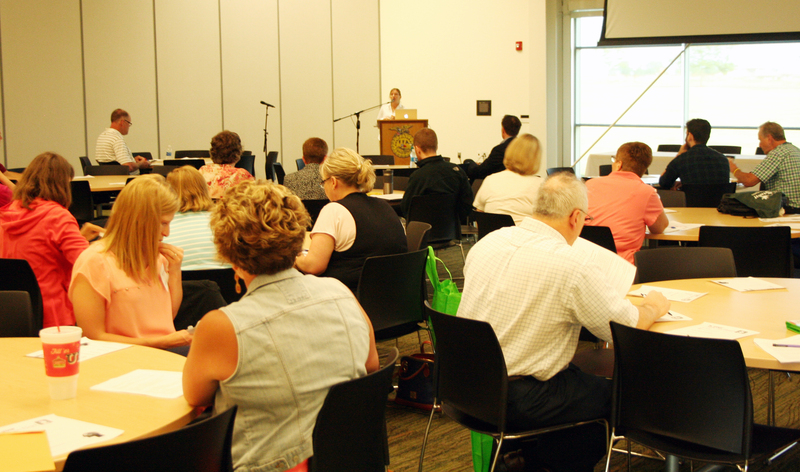 Iowa Jump$tart President Mary Sandvig welcomes attendees to the Educators Conference. 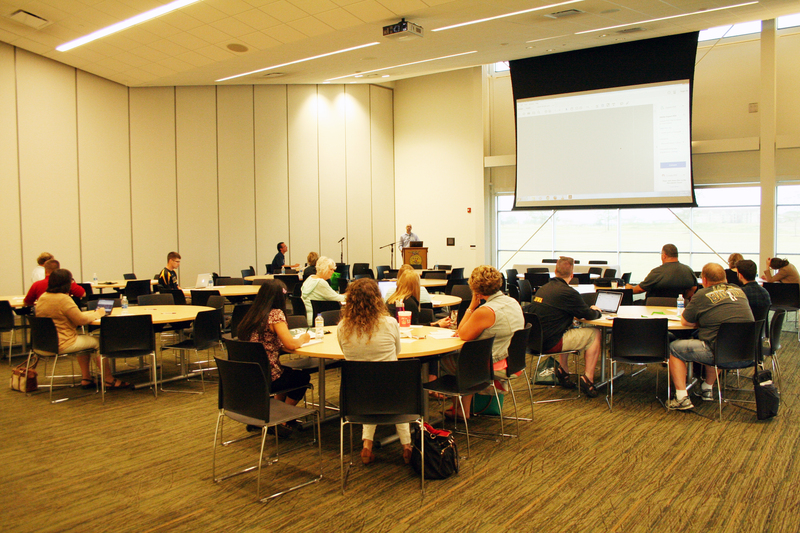 Approximately 90 Iowa teachers and business professionals attended Iowa Jump$tart’s annual Conference for Financial Literacy June 22 at DMACC’s FFA Enrichment Center in Ankeny. 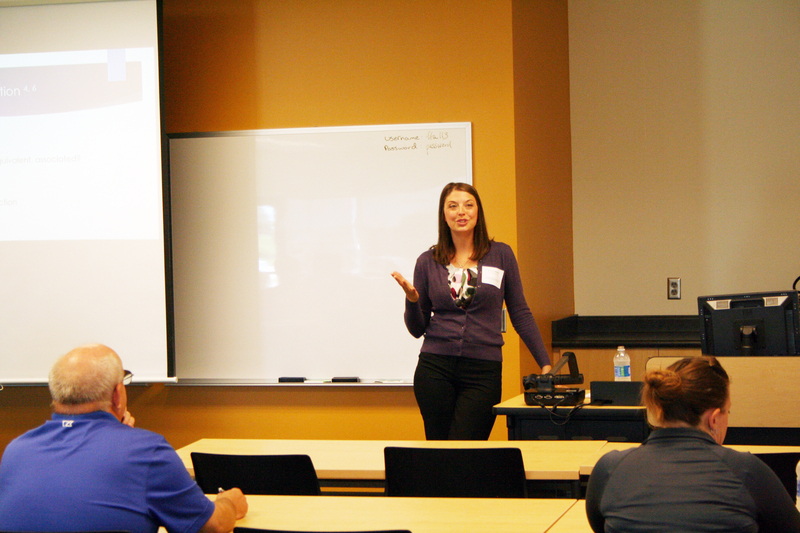 The conference, titled “Financial Literacy Starts with You,” provided teachers with a wealth of resources and tools to take back to the classroom for their financial literacy educational programs. Iowa Jump$tart President Mary Sandvig (Iowa Division of Banking) welcomed conference attendees, noting that this year marked the 16th anniversary of the conference. She reflected on what financial responsibility was like at the age of 16, and how everyone has a responsibility to take care of their financial literacy. 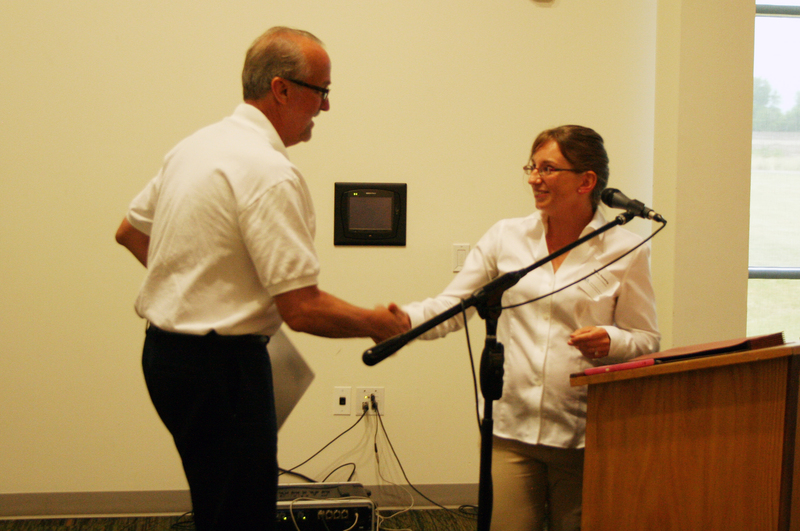 “Thank you for coming to day to take information bank to your classrooms to make a difference,” said Sandvig. Morgan Fannon reads her winning 2016 Money Smart Kid essay. 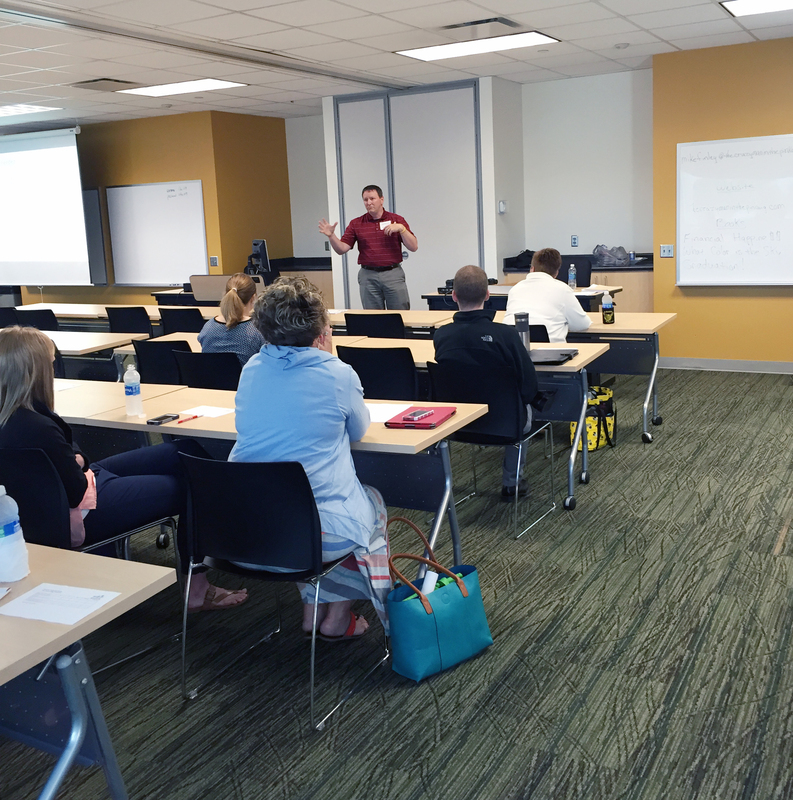 Sandvig also provided an updated on Money Smart Week, a financial literacy effort sponsored by Iowa Jump$tart that takes place each April. 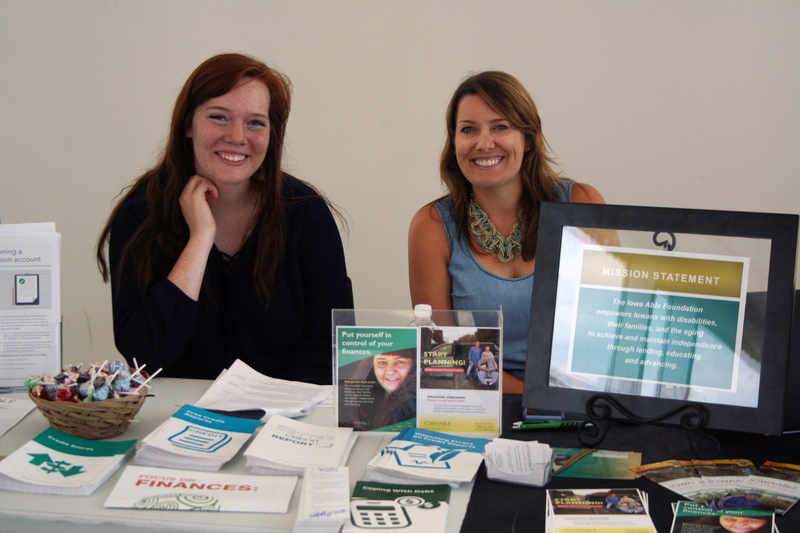 This year, Sandvig reported, Money Smart Week events across the state reached over 20,000 people. 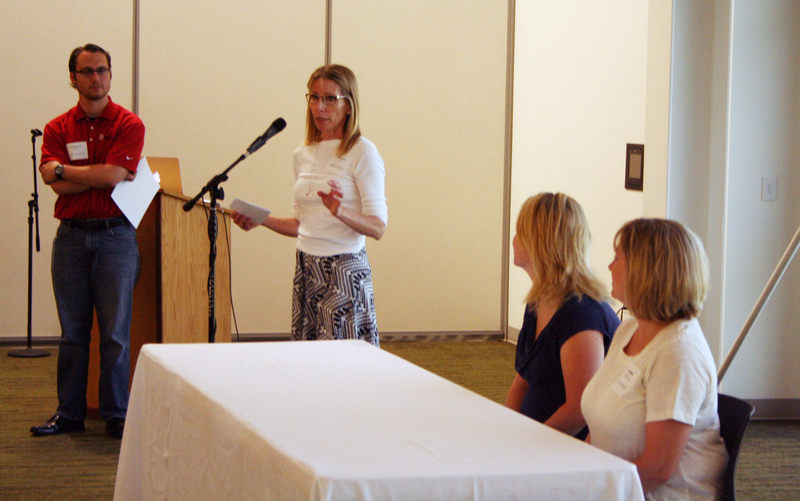 One of those events is the annual Money Smart Week essay contest, sponsored by the Iowa Bankers Association. She also introduced the 2016 Money Smart Kid Essay contest winner, Morgan Fannon of Edgewood-Colesburg Senior High School, and her teacher Jodi Ehlers. 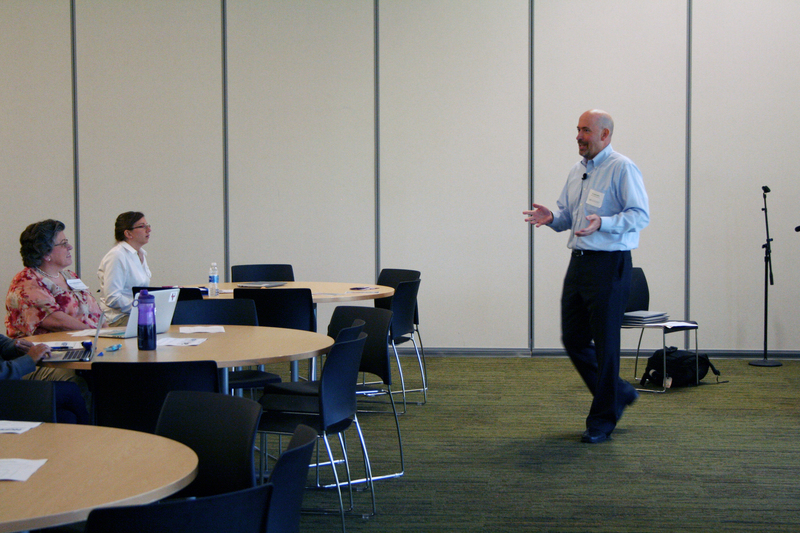 Ehlers encouraged attendees to work with local bankers to identify free financial literacy resources. “If you don’t have a relationship with your local banker, make one. You won’t believe how much easier your life becomes when you have them on your team,” said Ehlers. Then Fannon read her winning essay with the group. 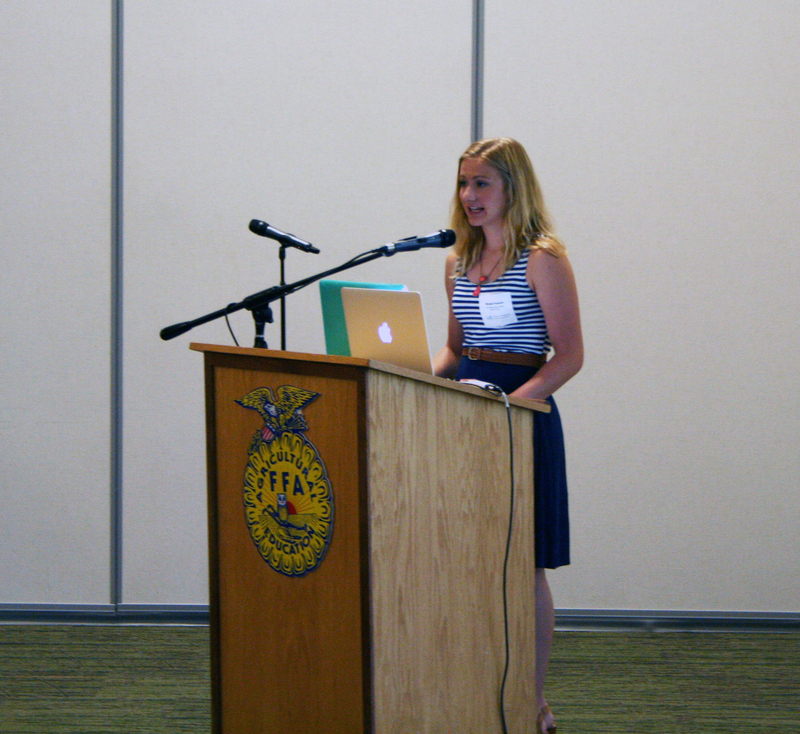 Carla Madson provides a report on the 2015 National Educators Conference. Opening Keynote: Is Your Hair on Fire? 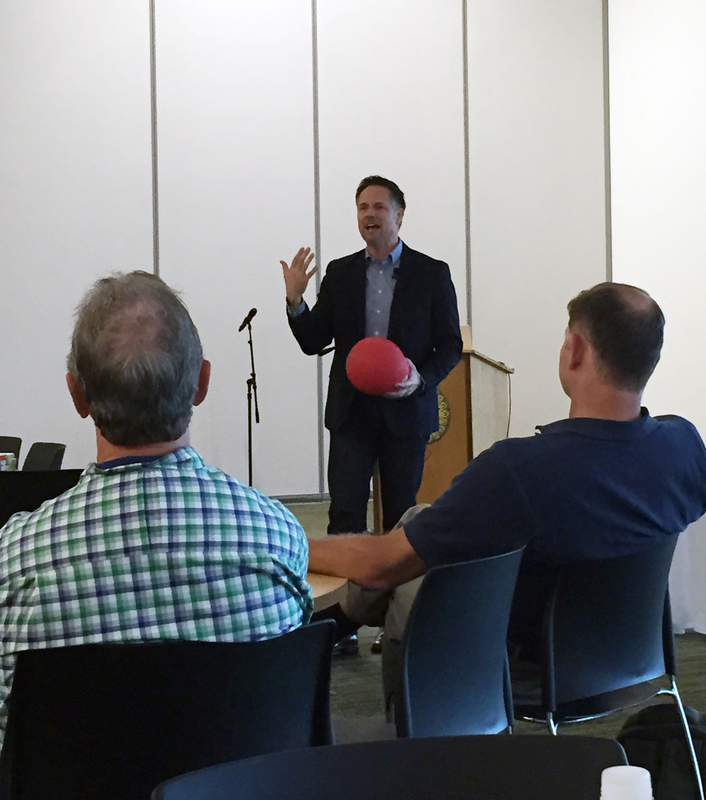 Mitch Matthews provided an engaging opening keynote about tacking stress and worry. “Money dominates the top 10 list of what people worry about. To help people manage their money better, we have to address worry,” said Matthews. 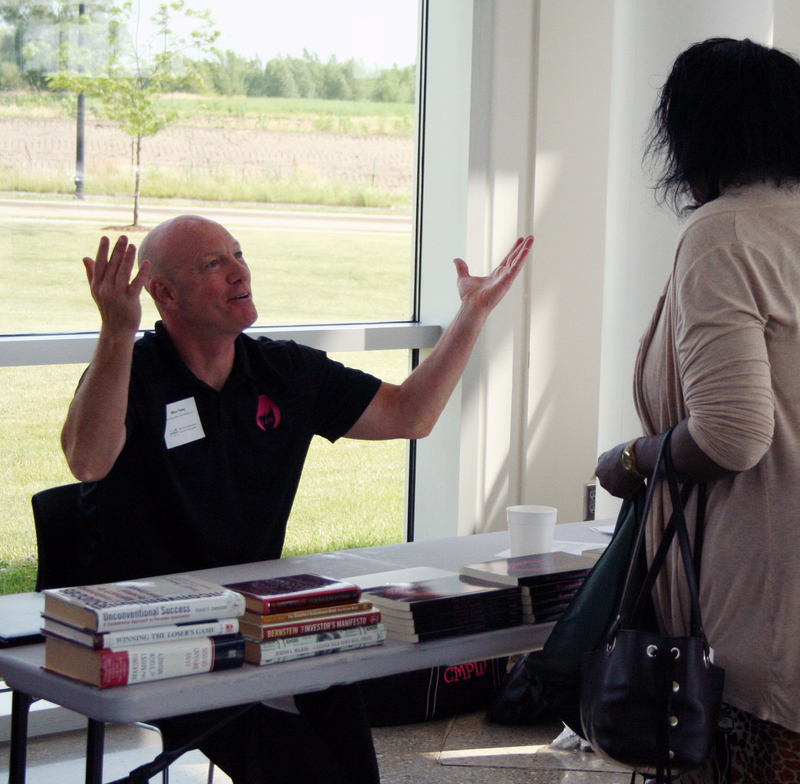 He then provided tips for training your brain and redirecting your thinking to those things you can control and influence – and letting go of those things you cannot. Nine different breakouts sessions were offered throughout the day on a variety of topics, including: NEFE’s High School Financial Program Planning (Billy Hensley), Life Skills: Finances – Making it Fresh and Fun (Sarah O’Rourke), Three Things Your Kids Must Know to Be a Financial Success (Jim Garnett), Iowa Council for Economic Education (Kyle Osborne), How to Become a Wise and Efficient Investor (Mike Finley), Gamification of Personal Finance (Jenna Nation), Financial Literacy for Underrepresented, First Generation Students (Allison Severson, Kay Thomas, and Kristen Corey), Family Budget Simulation (Todd Hospodarsky) and Keeping It Real: Borrowing Responsibly for College (Marc Hendel). 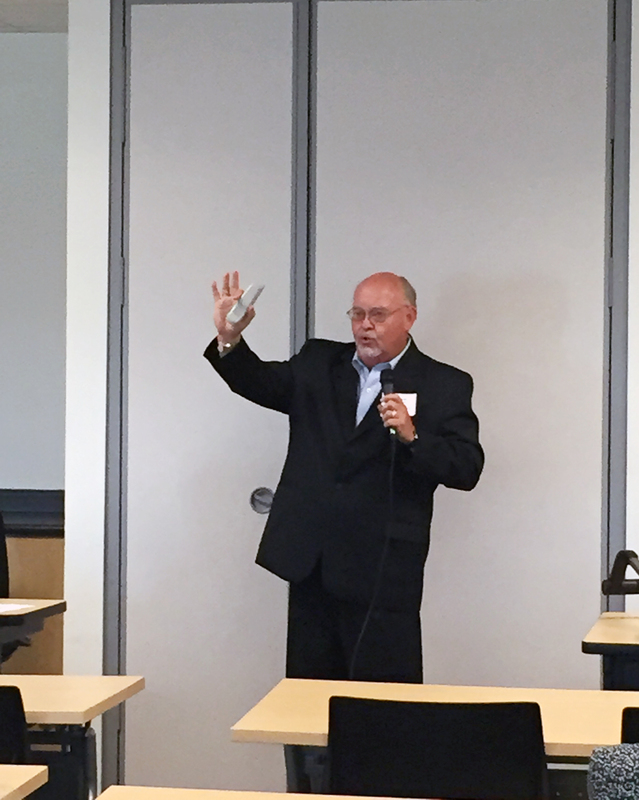 Billy Hensley of the National Endowment for Financial Education (NEFE) provided an update on using research to help understand and address personal finance issues. He shared research had conducted on Millennials, including trends in their financial habits and issues of concern. 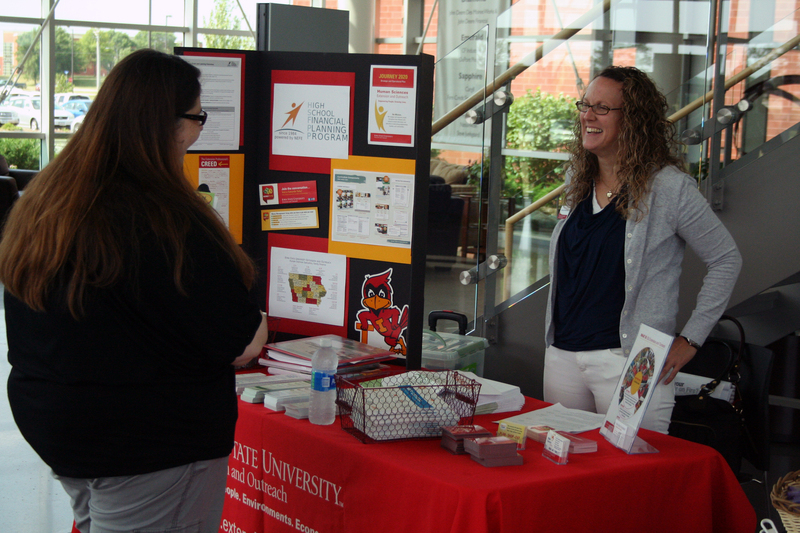 Educators also had the opportunity to visit with more than a dozen exhibitors to learn about additional financial literacy resources available. 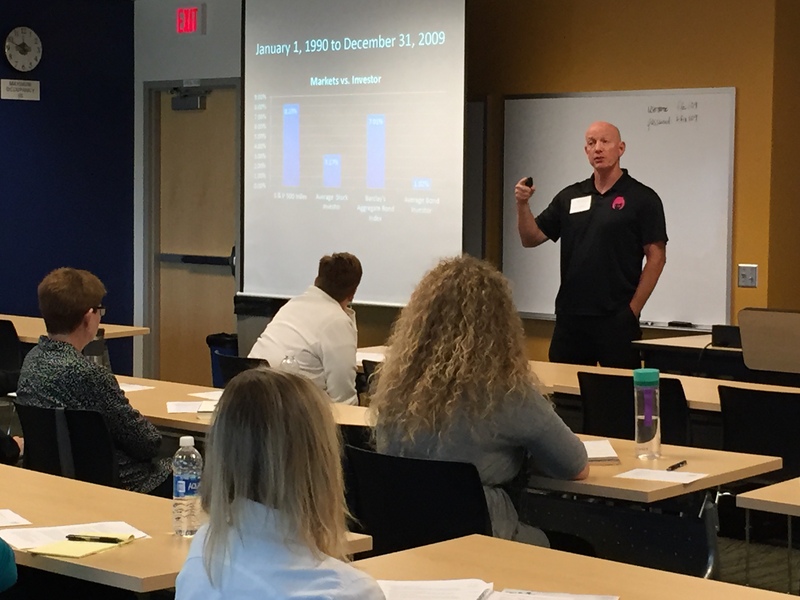 Tim Ranzetta from Next Gen Personal Financial provided an informative closing address on the numerous financial literacy resources available through his organization. 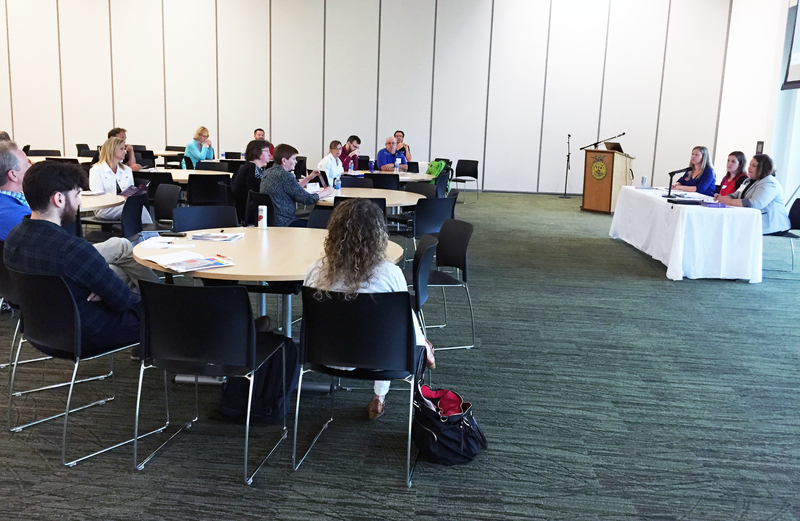 Attendees were given a virtual tour of those resources, including lesson plans, activities, projects, case studies, assessments and more, available on their website at nextgenpersonalfinance.org. 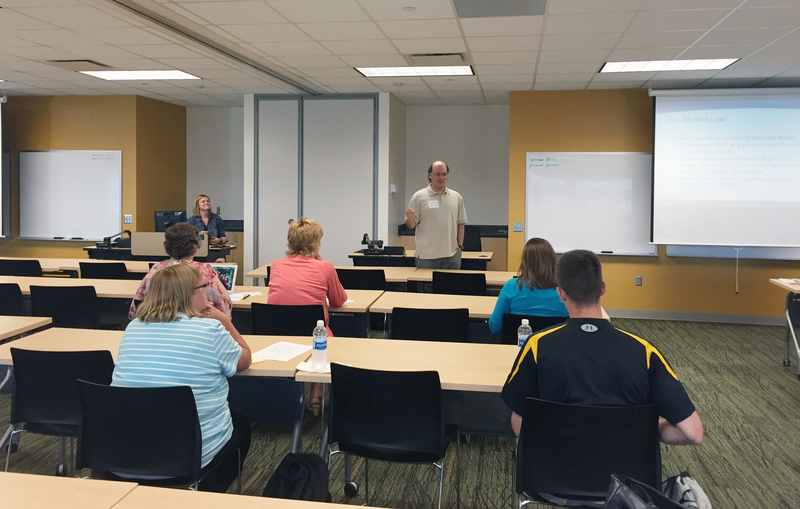 Sandvig announced the winners of Iowa Jump$tart scholarships to the 2016 National Educators Conference Nov. 5-7 in Dallas, Texas. Winners were: Debbie Claussen (Pleasant Valley High School, Bettendorf), Jennifer Anderson (Treynor High School, Treynor), Kristy Nickolisen (Abraham Lincoln High School, Council Bluffs), Tia Shaffer (Independence Community School District, Arlington), and JoEtt Cogdill (Woodbine High School, Woodbine). Craig Goettsch of the Iowa Insurance Division was presented with Iowa Jump$tart’s second annual member award for his service with the coalition. or. 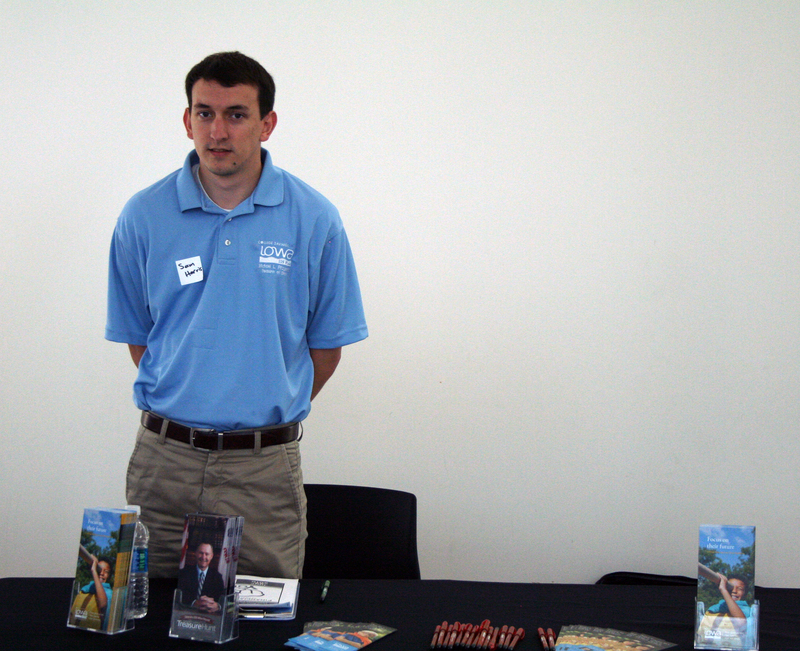 Craig has served as Iowa JumpStart secretary for more than 10 years, and continues to lead JumpStart’s membership committee. Craig has been actively involved in nearly every JumpStart initiative, including funding programs, speaking, serving on committees, being an officer, drafting policies and by-laws, and providing counsel. He has been a leader and advocate for all of JumpStart’s annual conferences for teachers and for the annual Money Smart Week Iowa. Pictured left to right are scholarship winners Carla Madson of the Urbandale Community School District, April Moffitt of the Emmetsburg Community School District, Jen Snyder of the Colfax-Mingo School District, LaRae Arment of the Alburnett Community School District, David Becker of the Ottumwa School District, and Iowa Jump$tart President Mary Sandvig. 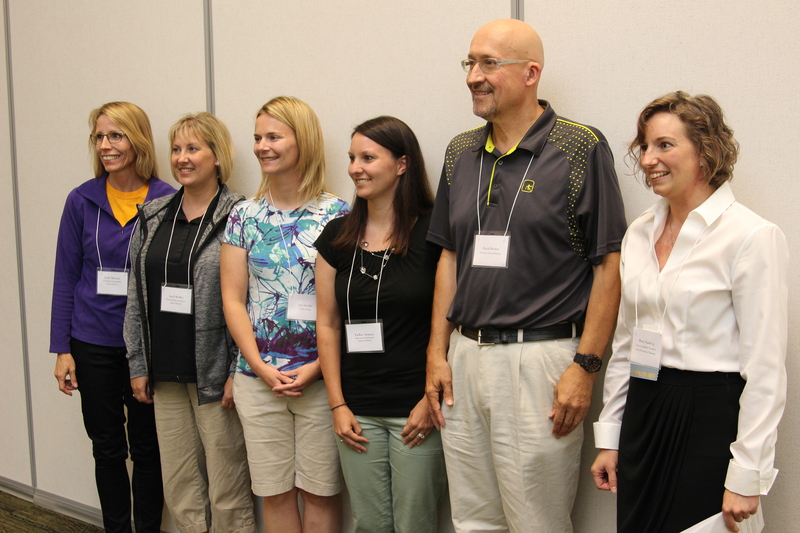 Five Iowa teachers have received scholarships from Iowa Jump$tart to attend the National Jump$tart Educators Conference in National Harbor, Maryland, in November. Scholarship winners are winners Carla Madson of the Urbandale Community School District, April Moffitt of the Emmetsburg Community School District, Jen Snyder of the Colfax-Mingo School District, LaRae Arment of the Alburnett Community School District, and David Becker of the Ottumwa School District. This conference will bring together hundreds of educators from across the country whose work gives students a successful financial future. 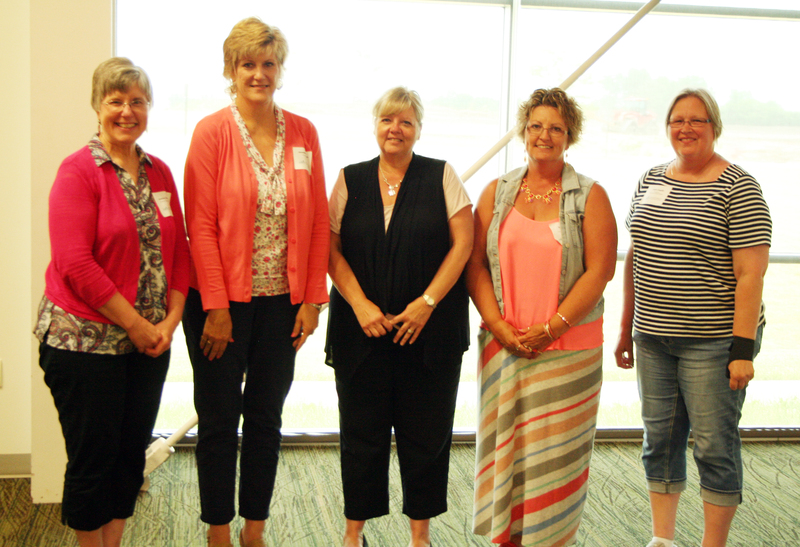 Five scholarships in total were provided by Iowa Jump$tart to Iowa teachers to attend the national conference, which will take place Nov. 6-8. The conference provides preK-12 teachers with financial education resources, personal and professional development and a nationwide network of colleagues supporting financial education. When students sign up to receive college tips and tools from Wells Fargo’s CollegeSTEPS® program, they’ll automatically be entered in the CollegeSTEPS sweepstakes for a chance to win $1,000. Plus, they’ll get emails with information designed to help keep them on track with money management and college planning. Please download the flier for more information on how your students can win. The College Survival Guide sponsored by Wells Fargo is an excellent resource to help parents make sure they are on the right track to preparing for college. In this easy to read 14 page document, the first half helps you understand options for paying for college. It also helps you understand key areas to focus on when preparing your child for college. The second half talks about the process of getting into college and the challenges your child will encounter. Wells Fargo is a member of the Iowa Jump$tart Coalition. The Iowa Bankers Association is sponsoring ten $1,000 scholarships that will be provided to Iowa high schools participating in Project Financial Literacy this school year. Starting Oct. 1, Iowa schools can sign up to participate in this program at www.projectfl.org. Project Financial Literacy is designed to promote financial literacy education by providing high schools with resources to measure and improve their financial literacy curriculum. 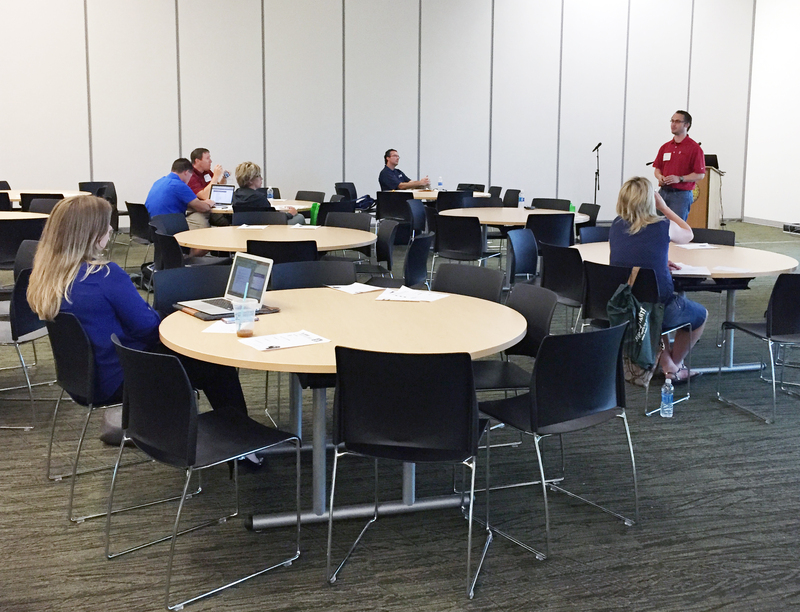 The program offers schools an assessment tool, created by Ednalysis, an Iowa-based company, to measure their curriculum against the 21st Century Skills framework of the Iowa Core Curriculum. The tool helps measure students’ knowledge in the areas of achieving financial goals, managing money effectively, debt decision-making, risk management, investment and asset building, and legal and ethical financial behavior.